In math we use axioms and theoremes. An axiom is a logical statement that is assumed to be true and serves as a starting point for deducing and inferring other (theory dependent) truths (Wikipedia). A theorem is a statement that has been proven on the basis of previously established statements, such as other theorems, and previously accepted statements, such as axioms (Wikipedia). Skippy Blair uses the terms rules - where a rule is a method or afirmation that gives positive results for every case or every subject that is applied to. I will try in this article, which I see as a living document to list my West Coast Swing axioms, theorems and terminology. The list has no particular order. I recently read a very interesting article written by Katherine Krok Eastvold. Katherine separates the contemporary styles of WCS dancing in two separate categories: Abstract Improvisation and Pure West Coast Swing. 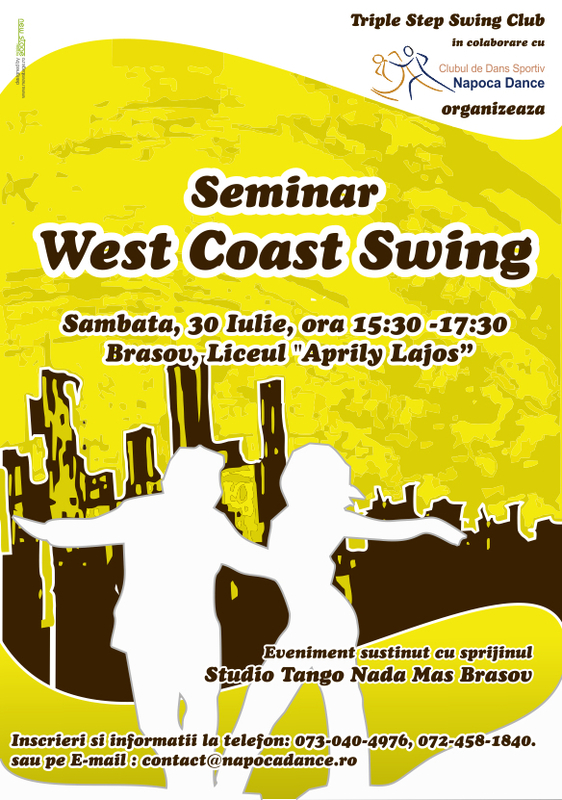 As the name West Coast Swing Romania is not exactly suited for a dance school, we did a little research to get a proper name. Most of the schools in the US are named Swing Club CityName. Therefore I proposed Swing Club Bucharest. It wasn’t a well receive proposal. “It sounds like an auto club, no way”. Ok, I moved on and find other pattern - using actual names “Jordan and Tatiana”, “John Lindo”, “Jessic a Cox”. This time I opposed to this idea. The next path was to be the winning one – choosing an element that is somehow related to the dancing activity or West Coast Swing in particular like “2 Left Feet” for example. So the result was “Triple Step”. Asking Andrei Dumitriu how he feels about it, he said that ideally we would have an official name that could be for example “Triple Step Swing Club”. Our name as a school consequently became “Triple Step Swing Club”.